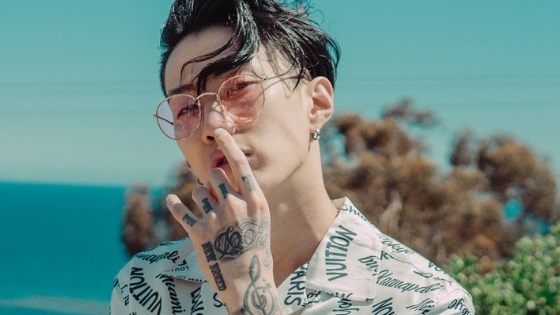 Rapper artist Jay Park literally shocked fans when he announced through twitter that he plans on retiring from the industry in a couple of years. Fans were shocked to find out about his plans, many left encouraging comments asking him not to leave the industry. Jay Park used to be a part of JYP Entertainment group 2PM before departing early on due to a scandal that blew out of proportions. He came back to Korea and created one of the most successful hip hop labels in the country, AOMG. He has also led a successful career as a rapper and a mentor for rising talent. What do you think of his decision? I watched a radio broadcast he appeared on a couple of months ago (American) and he mentioned retirement. I am not entirely sure when but I am sure I heard him say something similar to this before. This is why it wasn’t shocking to me. I like Jay Park and I think he’s hella talented. He managed to create something so big and so bright, he’s literally an inspiration. However, judging from his tweet, he could be thinking that his talent and hard work isn’t being appreciated enough because the market is fixated on Kpop rather than hip hop. I agree that hip hop is not nearly as appreciated as Kpop and ballad singers and doesn’t have a lot of following, if you follow Korean charts you rarely see hip hop songs ranking high unless it’s because of “Show Me The Money” or another hip hop type of show. I wish he wouldn’t but I’d understand if he did. He is doing great as the CEO of AOMG and will continue to do so in the future.